Bert Woollacott was a yacht designer and builder of safe, seagoing yachts, capable of being sailed with a minimal crew. He was 72 when he drew up the lines of Ladybird, needing the help of his son John for detailed drawings when his eyesight was failing. Ladybird, launched at Devonport Yacht Club in December 1950, is a fractional rigged ketch with oregon masts and spars which are still in use today. 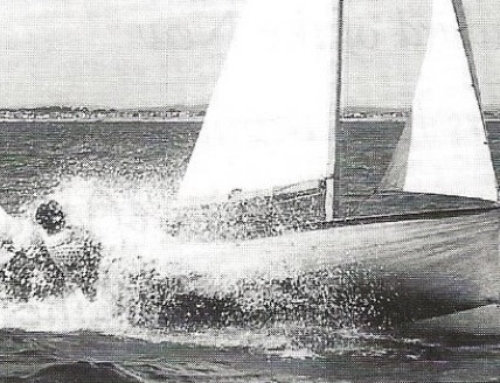 Ladybird won the 1952 gruelling 1570 nm RAYC Trans Tasman Hobart to Auckland race – the first NZ yacht to win. 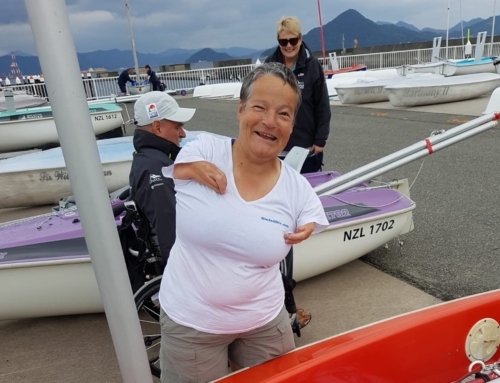 She also took part in several RAYC races, although racing under the Devonport Yacht Club burgee. Another of the 50 different yachts Woollacott designed was RAYC member Tony Armit’s Marco Polo, the first NZ boat to sail around the world. Bert Samuel Woollacott was born in England in 1878, coming to NZ in 1922 at aged 44, having already established himself as a proficient boat designer and builder. In 1966 he died aged 86 at the end of a full and active, creative life. His work brought satisfaction and pleasure to many as well as to himself. To learn more about Bert Woollacott you will be able to see a biography on him in the new Club building. This is one of the projects for the Archives team. If you have anything to contribute or you would like to help please contact Marian Harkness on (09) 524-4968 or calimex@clear.net.nz.